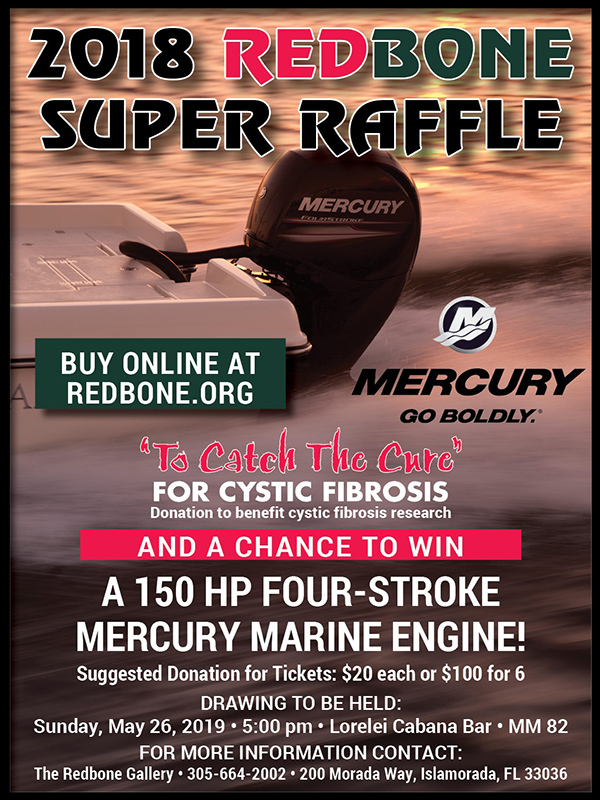 CLICK HERE TO REGISTER FOR THE 2018 REDBONE SUPER RAFFLE! Taking a walk in the park to make great strides in cystic fibrosis research! Welcome to the Redbone - We are dedicated to bringing together a unique group of sportsmen and women who respect the outdoors and relish every opportunity to connect with it. Athletes and anglers, guides and celebrities, all come to fish. And by fishing, they contribute much more than their time. We are a non-profit (501c) company that raises money "To Catch The Cure" to benefit cystic fibrosis. 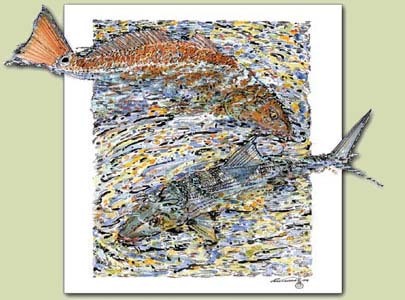 We offer a series of catch and release charity fishing tournaments throughout the year. The Robert James Sales, Redbone Trilogy in the Florida Keys includes; the S.L.A.M. 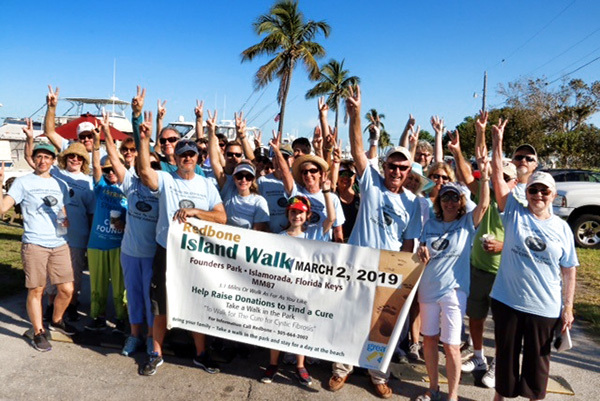 In Key West in September, the Baybone in Islamorada, in October, and the grandaddy tournament Redbone, in Islamorada, in November celebrating it’s 29th year. In addition we offer many Redbone at Large tournaments throughout the United States and the Bahamas. Visit our tournaments area for schedules of tournaments and events offered by Redbone. Redbone has a journal called the Redbone Journal. The Redbone Journal is focused on the wonders of our natural environment. In our South Florida setting, the bountiful surroundings have granted silvery fish, jeweled waters, and flowered palm frond beauty that draws anglers from around the world. Attention is given to issues that may benefit or detract from the preservation of these life-giving riches.